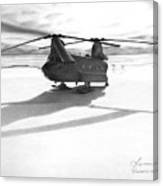 Parked Ch-47 by Christopher Bracken - 10" x 8"
Parked Ch-47 poster by Christopher Bracken. Our posters are produced on acid-free papers using archival inks to guarantee that they last a lifetime without fading or loss of color. All posters include a 1" white border around the image to allow for future framing and matting, if desired. There are no comments for Parked Ch-47. Click here to post the first comment. 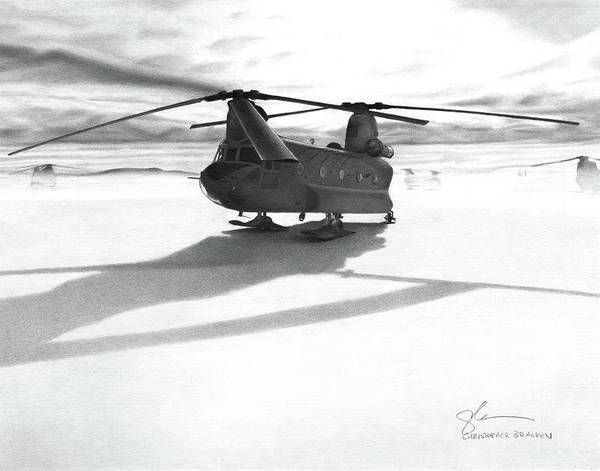 Chinook is a great name for this helicopter. 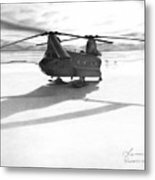 A muscled helicopter capable of carrying its weight parked in the field, resting for its next mission. This drawing was a quite the challenge making the sky broadcast its horizon light. Photo taken by SPC Bryce Van Schuyver.